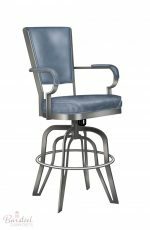 Gold-finished stainless steel gives Edmonton a posh update and a spellbinding style that belies its old-school architecture. 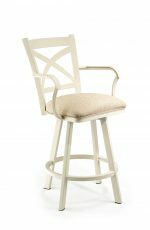 The elegant high back features a sophisticated flat criss-cross design with slight curves to soften the effect. 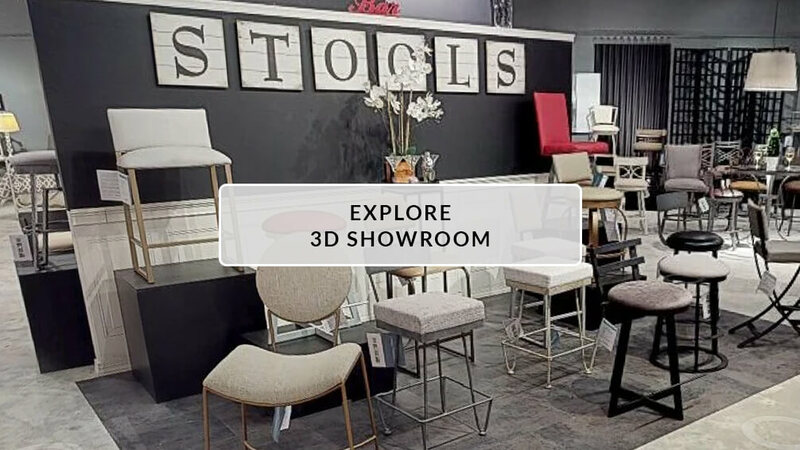 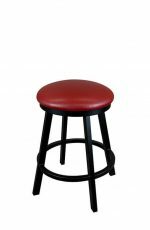 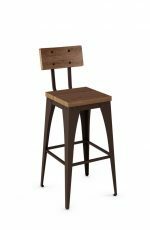 A gently rounded upholstered seat adds cush and a luxe feel to complement the stool’s sleek finish. 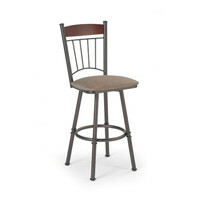 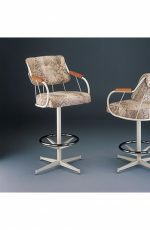 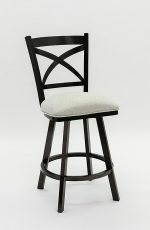 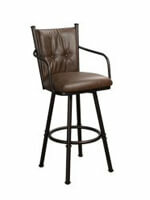 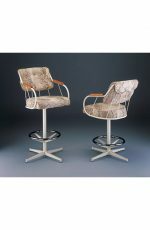 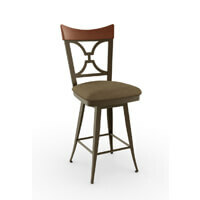 And a stately four-legged design with curved footrest finishes off Edmonton’s beautifully balanced details with finesse. 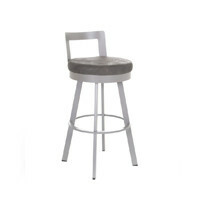 Also available in 30+ hand-applied metal finishes. 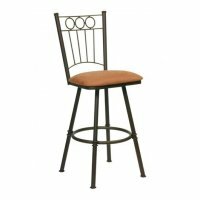 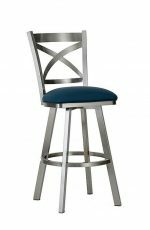 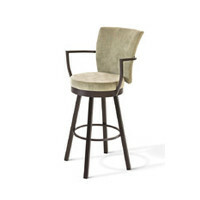 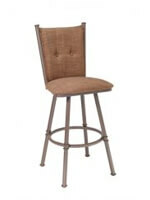 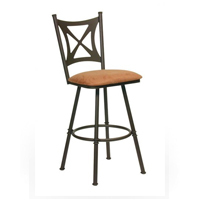 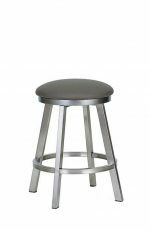 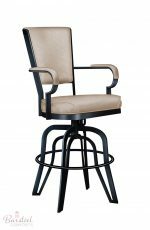 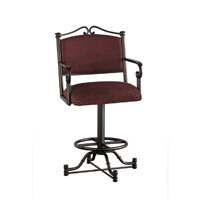 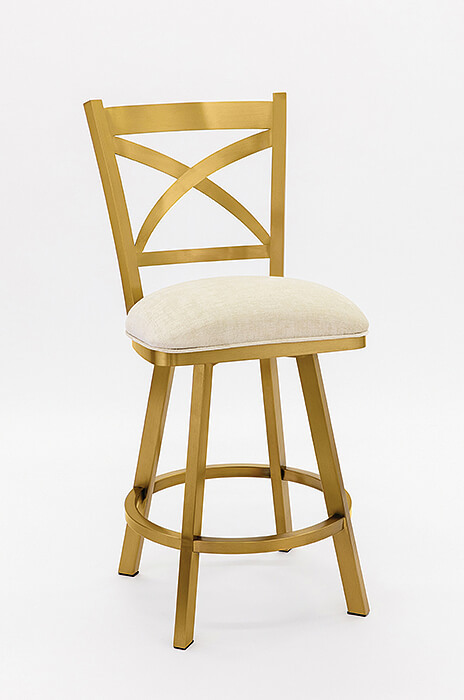 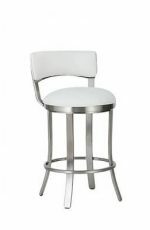 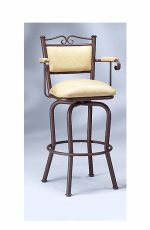 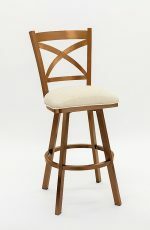 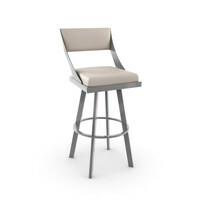 • For the Edmonton Swivel Stool in Gold Stainless Steel, you will need 1 yard(s) per chair.